Rob is currently in Nova Scotia with William Dafoe. The film is currently in pre-production and filming is rumoured to commence on Monday 9 April 2018 and scheduled to finish around 11 May 2018. We also know they have finalised the building of the lighthouse (see pic above) and the roads are now closed off from the general public. It’s currently slated to be released in 2019. Not much is known about The Souvenir: Part 2 other than filming is supposed to start in the summer of this year and that Rob will have a leading role. Part 1 is currently post production as at 22 October 2017, but we should know next Thursday (12 April 2018) if it is in fact going to Cannes as has been rumoured. According to Deadline Chalamet is set to appear in The King as the eponymous English monarch, who famously led his army to victory at the Battle of Agincourt in 1415 during the Hundred Years’ War with France. He died aged 36, leaving the throne to his infant son. There is some speculation that Robert Pattinson may co-star. Indeed, he is the only other actor listed on IMDB at the moment. Though, that appears to stem from a comment he made during a press conference at Cannes, in which he said he might be working with Michôd on a future project. So don’t necessarily hold your breath on that one. Production is slated to begin in June so I’m just going to be sitting over here waiting for official confirmation before I get really excited. 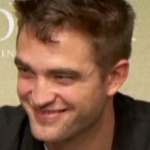 Perhaps Rob will mention it next week during Berlinale. Here we are at the end of the first 6 months of 2017 and boy what a 6 months it’s been for Robert. We started off 2017 with Queen of the Desert, The Childhood of a Leader and The Lost City of Z being screened and were anticipating Good Time and Damsel. Both the latter films were included in Most Anticipated Lists for 2017. As was High Life, but we learnt early on that the film wasn’t being shot until at last August 2017. But let’s get down to what has been new in the past 6 months. Dior unleashed a new campaign in January – Dior Homme Sport. Then Robert surprised us by attending Albane Cleret’s “A Club” New Year’s Eve Dinner on 13 January 2017 where he was pictured with Sidney Toledano. February saw Xavier Beauvois share photos of Robert visiting the set of Claire Denis’s film “Let the Sunshine In” and well the sunshine always shines when Robert’s around. It also gave us The Lost City of Z premieres at Berlinale and the UK – meaning photocalls, press conferences and red carpet goodness. It also unleashed new photoshoots, like Francois Berthier at Berlinale and the Berlinale Portrait. 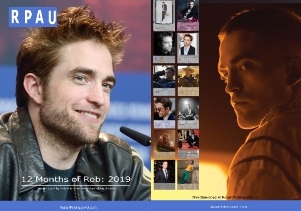 March was relatively quiet, but I guess it was the calm before the storm, although we did get confirmation that Robert was doing music for the Zellner Bros’s Damsel thanks to Metro UK. It also gave us Uncle Karl unleashing his photographs from a new Dior campaign – Black Carpet Collection. There was also a hint that Good Time could be at Cannes and A24 did update their website to include the film as “coming soon”. But just as March was leaving, L’Antica Pizzeria da Michele in London let us know that Robert and Sam Bradley stopped by for a bite to eat and were gracious enough to take a photo with the restaurant staff. This takes us to April where Robert surprised us and a lot of people by turning up to a very sneaky premiere of The Lost City of Z in LA and also a Q&A. Josh and Benny introduced us to Connie Nikas for the first time as a treat for the film being selected “in competition” at Cannes. Robert popped up at a birthday celebration in LA and posed for a photo with film producer David Gorder and then literally popped up at Pop & Sukee Spring Soiree. We were also teased about that new photoshoot by Torbjørn Rødland which I’ll talk more about shortly. Dior also treated us to a new photo – Robert wearing sunglasses is always a treat. 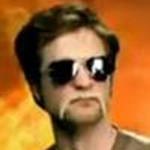 I often say that Rayban missed out on having one of the best spokespersons – their loss. 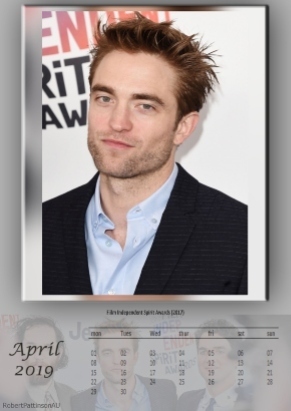 April finished off with the exciting news that Robert indeed is singing on the soundtrack of Damsel and Robert attending the birthday celebrations for Jaimie King (still admit I have no idea who she is). This now takes us to May. What can I say about May. We had so much goodness just in this one month – not only because it was Robert’s birthday, but Robert attending Cannes with Good Time, receiving critical acclaim for his performance and amazing photoshoots. But before we get to that, I uncovered BTS shots of Robert as Connie Nikas that American Liberty Bail Bonds had sitting on their website. Crash Magazine gave us the photoshoot we had been teased with in April by Torbjørn Rødland. The news hit that Robert was involved in a new movie by Joanna Hogg that would be co-produced by Martin Scorsese called The Souvenir. And then we had Cannes – photocalls, press conference, red carpet premiere, interviews, photoshoots and well just all round goodness. Robert also confirmed that he would be doing future projects with Ciro Guerra, Antonio Campos and our very own David Michôd. Robert also attended the premiere of Joaquin Phoenix/Lynne Ramsay “You Were Never Really Here” whilst in Cannes. Fabulous times just in the last week of May which filtered into June, giving us more new Dior/Cannes goodness and another new photoshoot. Not to mention Robert on the cover of Gala France (which as Posh pointed out was one of the few times that there was a male on the cover), Cahier Du Cinema and CinemaScope. New photoshoots – ParisMatch, NY Times and Victoria Stevens, not to mention brand new interviews. Also, as an aside, Good Time popped up as a last minute inclusion at the Sydney Film Festival – the positive reviews and accolades continued for his performance as Connie Nikas. We found out that Robert turned up to watch his longtime friend Tom Sturridge on Broadway in his new play “1984” and have dinner with Bret Easton Ellis. Connie Nikas leads us out of June and we have so much to look forward to in the next 6 months. Bring it Robert – bring it. After dazzling in Cannes, where it won the Camera d’Or, Houda Benyamina came to the United States last week to defend the colors of her rebellious teen movie, Divine . Invited by the Festival of the American Film Institue (AFI), stronghold of the industry and antechamber of the Oscars which is held each fall in Los Angeles, the French filmmaker has dominated the charts, leaving with two audience awards and special mention of the jury for the actress Oulaya Amamra. But Houda Benyamina, unknown and under the radar eight months ago, hadn’t only come to Los Angeles to ensure after-sales of her film. Now represented by an American agent, she also actively started preparing for her next feature film and provided the first details. It will be a costume drama, set in a time of war, which tells a love story ” lyrical and burning” between a French and a young American. embody the latter, the director of 36 years has already met several actors, including James Franco and Robert Pattinson, who have expressed interest in the project. 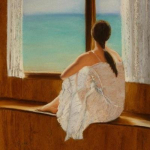 “Casting ahead but we’re still at the stage of meetings, discussions, “ says Huda Benyamina, who says she wants to remain faithful to the methods of intense shooting of guerrilla warfare proven in Divine. While waiting until her casting becomes clearer, the new film by Houda Benyamina, will be produced by the French company behind Divine, Easy Tiger, and should gradually reveal its ambitious current promises in 2017. Move over Franco – you can’t have it all lol. Also, for those interested, there’s nothing in her “projects in development” on IMDbPro yet, but I’ll keep an eye on it. Thanks Posh for the heads up. You are currently writing. Can you tell us a little bit more? It will be a great love story, told over 30 years, on a political background. A film about freedom and betrayal. It will not be turned in the suburbs (laughs, Ed). Oulaya, my sister, is already in casting and the main actor will be American. My agent across the Atlantic asked me what profile I wanted to turn to and I told him about Robert Pattinson. This guy has a crazy potential! It has a very animal side, it has a truly rich interiority. The problem is that despite him still riding the wave of Twilight.But I really think it’s an actor in the making. There’s a lot to pick up at home. It has not exploded yet. I think we could do great things together. Thanks to the sleuthing of bluroblaze on Rob’s IMDb and @RoCp for bringing it to our attention, we have a little more information about High Life. It looks like Film and Media Foundation NRW awarded 50,000 euro in August to support a movie (in development) called “High Life” by Claire Denis, Jean-Pol Fargeau, Zadie Smith and Nick Laird. According to their press release “Dusseldorf, 03 September 2015. In its 152nd meeting, the Film and Media Foundation NRW promoted 30 projects with EUR 3 million”. According to @TiramiSue84 the comment on the wikipedia page referred to by bluroblaze mentions “that this particular kind of funding/support is given to producers with completed scripts headed towards start”. Jesus my anticipation for this film just went up 100 notches. Not just an astronaut, but a criminal – yeah?